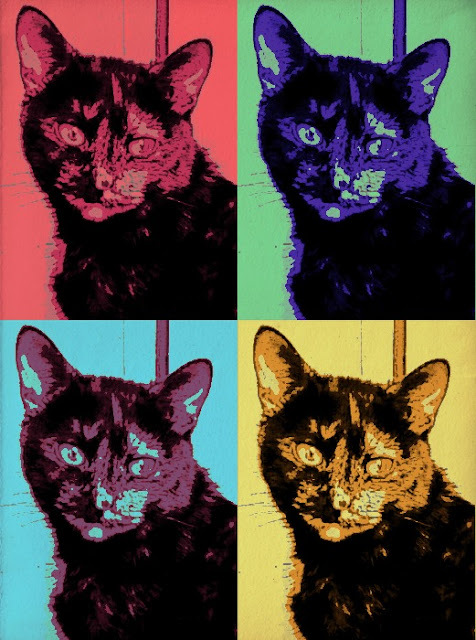 Today for my Caturday Art project we used Photofunia's Pop Art template. I think it came out really cool. Check out more artsy kitties at Athena's Caturday Art blog hop! Your pop art version of you is fantastic. You are a pop art princess, Mudpie! Mudpie you are a perfect Warhol! Happy Caturday! Mudpie you make Andy Warhol look like a rookie. Yous wight Mudpie, yous lookin' gawjus. Have a gweat weekend. Mudpie! Yous looks like a movie star!